The Bureau of Labor Statistics (BLS) released the Producer Price Indexes (PPI) for August. Inflation in prices received by producers (prior to sales to consumers) was flat in August from July. Over the 12 months ending in August prices were up 1.8%. Softwood lumber prices rose 2.4% in August but are down modestly from an earlier March peak. OSB prices declined 4.9% for the month continuing their slide since 2013. Gypsum prices declined 0.9% in August and are down from a recent February peak. This softness in prices so far in 2014 despite increasing demand is consistent with reports of additional productive capacity being brought back to the wood products sector, as well as with surveys of NAHB members reporting fewer shortages in key materials compared to earlier years. 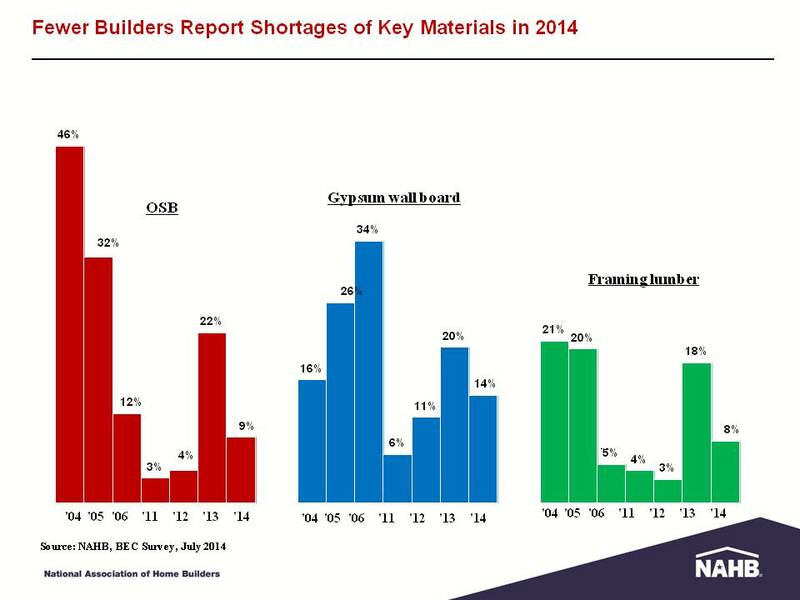 At the peak of the housing boom respondents to NAHB surveys reporting shortages of OSB reached as high as 46%. During the downturn the percentage of respondents reporting shortages fell to low single digits. As the housing recovery gained momentum through 2012 and 2013 the increase in demand pressed the limits of a significantly reduced supply chain creating shortages and driving prices to boom level spikes. More recently, reported increases in capacity have reduced the shortages and led to lower prices. 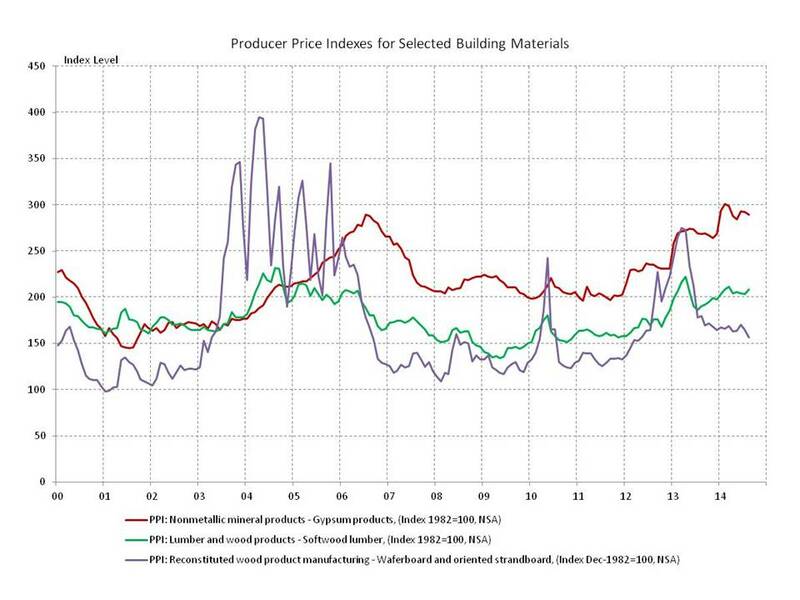 Similar cycles between reported shortages and prices can be seen with framing lumber and to a lesser extent gypsum.